Expert roof inspections to keep you and your family safe. Brisbane, Gold Coast & Sunshine Coast. Have Your Roof Surveyed By Roof Inspection Specialists. Whether you are buying or selling a house or have noticed something wrong with your roof, roof inspections are crucial in these scenarios. The roof of the building is exposed to elements like sun, rain, snow, hail and ice which can damage your roof. Neglecting small damage can lead to bigger damages such as mould growth, structural issue, damaged insulation, etc. KWR Roofing offers excellent services for roof inspections Brisbane. 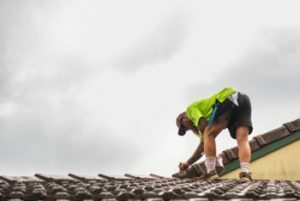 Our licensed and professionally trained roofers are expert in residential as well as commercial roof inspections gold coast. They also provide roof reports on potential faults and issues of the roof in written that you can use for repair and insurance work. Why choose our roof inspection services? 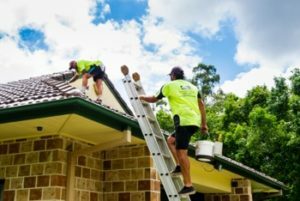 Leaks and drafts are two most obvious signs that you need professional roof inspection Brisbane. Dark streaks or stain on your ceiling indicate moisture in the interior or your roof. Cool drafts may also be a sign of a faulty roof that can lead to problems with proper ventilation and air circulation. 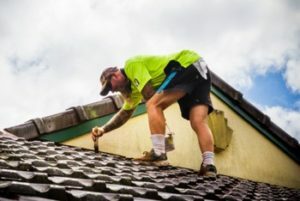 A more thorough roof reports Gold Coast can reveal more severe roof damages that are not apparent to the untrained eye. So, scheduling annual roof inspections Gold Coast is always a smart idea. Take advantage of our monthly specials. Save hundreds! © 2008 – 2019 KWR Roofing. All Rights Reserved.